Elsie Ewudzie-Sampson is a professional female Graphic Designer at one of Ghana’s premier television stations, GHOne TV. She holds Bachelor of Arts Degree in Communication Design from Kwame Nkrumah University of Science and Technology – KNUST, Kumasi. Elsie’s love for colours has not only influenced her profession as a designer and an artist, but also a major inspiration in morphing vibrant traditional African market avenue through the power of social media. 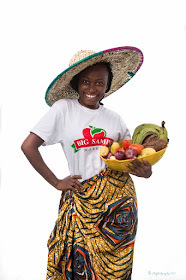 “My love for colours drew me close to fruits, vegetables and local food ingredients, though cooking isn’t my hobby, I love to see fruits and vegetables properly packages and presented so they don’t lose their natural colour or look. I am a workaholic, I work almost every day of the week and when I am free I love to sit by my computer or stay indoors all day”. 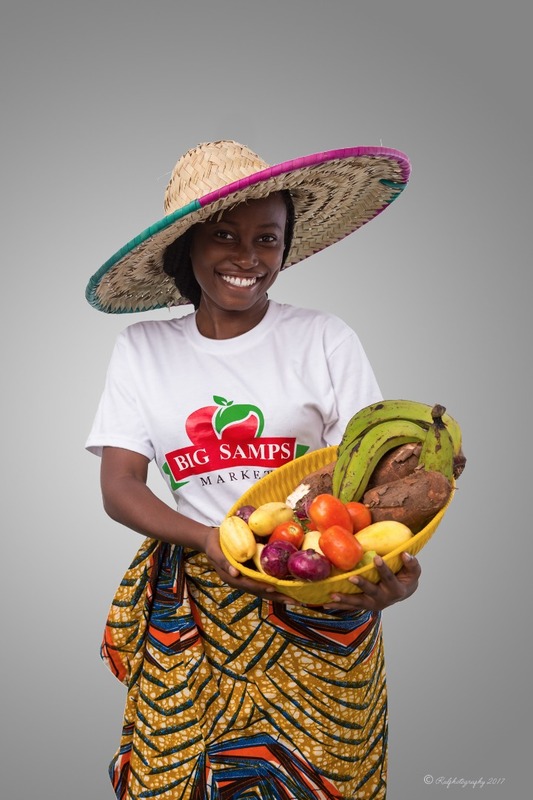 In the piece below, Elsie explained to us how she transformed her passion to start an online foodstuff delivery service in Ghana. Going to the market is a headache for me, tight schedule, family to be with and all that. This has been my life for a while, I also realised it’s the same with most of my colleagues and my friends. Noticing that busy schedules keep people of my calibre away from making time to go to the market to get their foodstuff, and even when you want to go, the stress and the traffic involved sometimes. This Idea actually came up when I was in school in 2013, but I couldn’t implement it immediately due to inadequate funds. But I still decided to start it when I was in my final year in school in 2015. I made deliveries myself on foot just to see it work on campus. Becoming a professional graphic designer and finding myself in a male dominating industry is one of my success stories and motivation. 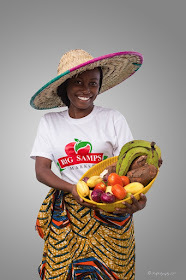 For new start-ups like Big Samps I wish us all the best. I’ve failed thrice but I never gave up. We can do it.